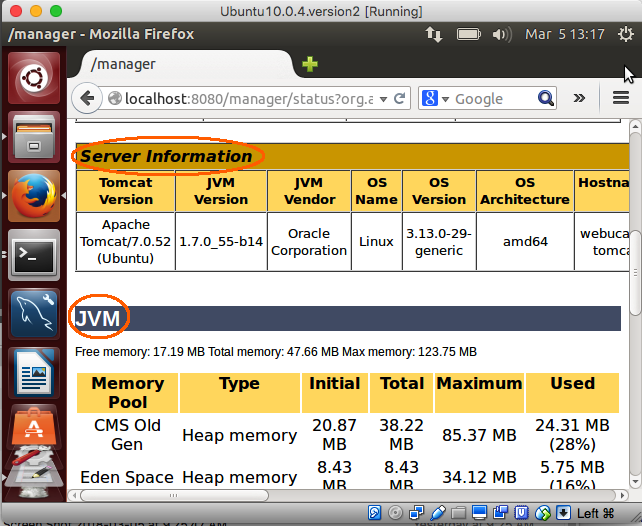 Monitoring the JVM is an important part of administering the Apache Tomcat server. 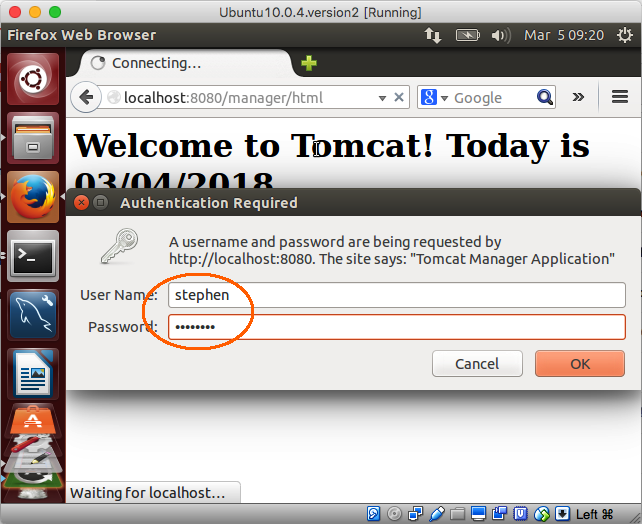 The Tomcat manager provides a quick way to check our server's status by displaying how many HTTP threads are active, the storage allocation in the various memory pools plus other helpful data. Click the Server Status link. 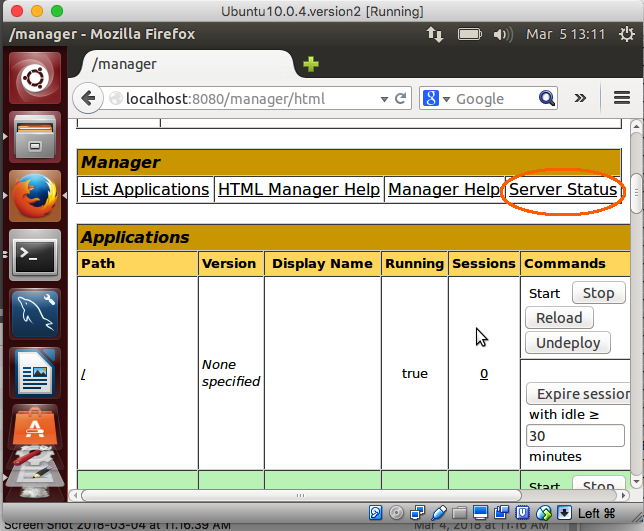 The "Server Information" panel displays a summary of your environment. The data that follows shows you the storage acquisition in the various memory pools and the thread usage for network communications by connector (e.g., HTTP). Monitoring this data over time will give you a good feeling for the resource consumption of your Tomcat server and may indicate the need to adjust JVM parameters and/or thread attribute values on the Connector element of server.xml.